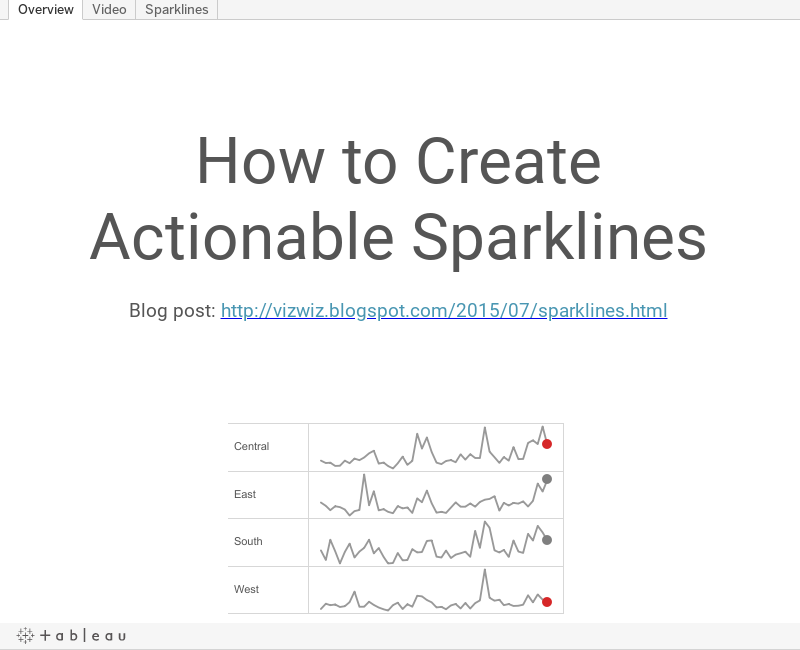 I love sparklines! I think they're a highly underutilized chart type for showing lots of information in a tiny space. But from what I've seen through my years is that people simply create little line charts with no context or call to action. 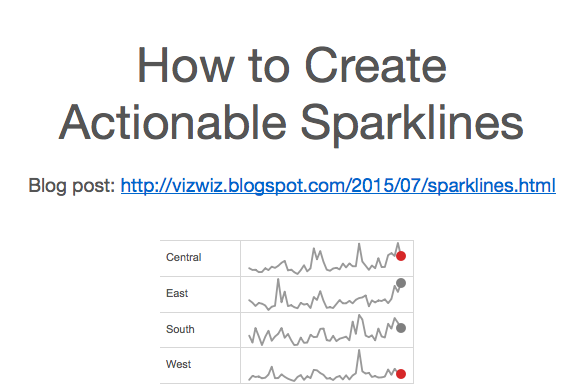 So this week, I wanted to introduce you to a simple way to create sparkline indicators. Basically all I'm doing is adding a dot onto the end of the sparkline and color-coding it for a call to action. For more information, here's a blog post I wrote in 2013 for how to create these as well, but I think the video below is simpler. I used your method in my workbook. Thank you, it is great! Awesome! That's great to hear!